LIQUID ICE B GONE MAGIC is a highly effective Anti-Icing Product & De-icing product when sprayed on rock salt. Liquid Ice B’ Gone Magic applications help prevent snow from bonding to surfaces when applied prior to storms. The residual can last more than one storm. 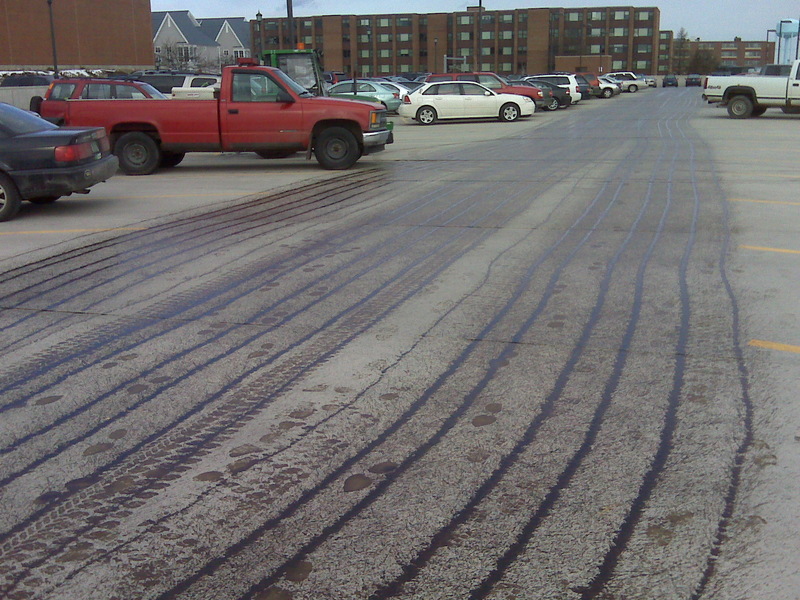 To minimize slips & falls, and to maintain wet pavement prior to a heavy storm, pre-treating is a must. Once the ice is down, the situation will be more dangerous and more costly to eliminate. * Less corrosive than distilled water. 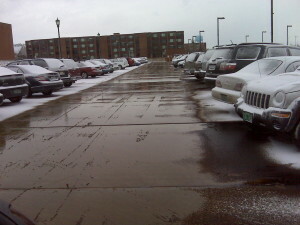 * Safe for concrete parking structures. * It even neutralizes rust! Available in Bulk, 5 Gallon Bucket, 55 Gallon Drum, 275 Gallon Totes and Bulk Delivery. Liquid Ice B Gone Magic is sprayed onto rock salt at 8 gallons per ton to create IBG Magic Treated Salt. 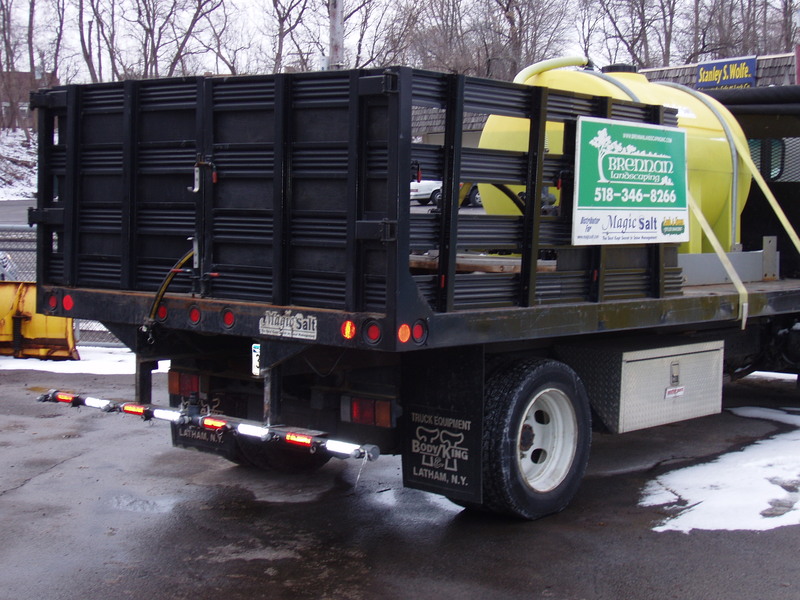 This can be sprayed thru a tank w/trash pump, hydro seeder, seal coating tank or deicing tank. 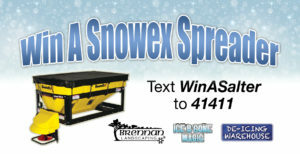 Pre-treating with ICE SLAYER liquid is more effective than using regular rock salt and is more cost-effective. It can be applied days in advance and will stay in place with no loss from bounce or traffic, and will activate when the storm arrives to keep snow & ice from bonding to the pavement. 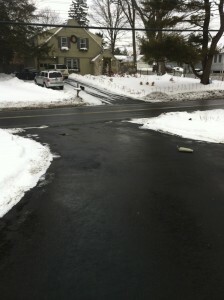 Pre-treating with Ice Slayer allows your pavement to remain free of snow & ice down to -5°F, much better than plain salt brine, and immensely more effective than regular rock salt. If applied just before a winter storm, Ice Slayer will begin working as soon as the first snowflake falls and will help delay the accumulation of snow and ice on the pavement. 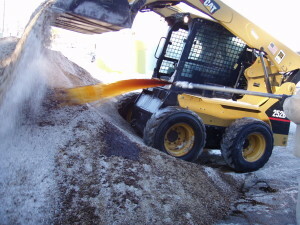 If applied just before a winter storm, salt brine will begin working as soon as the first snowflake falls and will help delay the accumulation of snow and ice on the pavement. M-F 8am-4:30pm Sat. 8am - 12 pm.